Some random musings I had from Day Two of the Forex Magnates London Summit as I was flying back home. Author’s note: Most of this article was written on a seven inch tablet from 30,000 feet or so on the way back from the Summit. (Open comment to Google, Android needs ‘undo’ capability!!!!) These were my random post-Summit thoughts on the way back home. There are a few articles that have already covered the Summit’s agenda and panels. Also, we are planning on dedicating posts for each panel once the videos are ready, so I won’t bother covering that now. What I wanted to review are some observations I have from covering, attending, and being part of the organization of the event. Why Safecharge won the innovation award – One of the last events was the tradable sponsored Elevator Pitch Session. The event was purposely not exclusive to startups, as we wanted to give a chance to showcase any innovative products from existing firms. Winning the award was payment processing provider, Safecharge. Overall though, voting among attendees was well spread out, with the winner receiving less than 25% of the votes. So why did Safecharge win? Besides having a great visual presentation, Safecharge did a great job of relating with common problems brokers have (rejected deposits) and pitched a product that helps solves those issues. Bottom line, they expressed clearly why brokers will make more money using their product. (The product was called ‘cashier, a thematic deposit page that customizes itself to the language and characteristics of the user, plus a few other features, namely providing instant messages of why a deposit was rejected and what the client can do, such as making a smaller size deposit). This doesn’t mean that the other presenters didn’t express the benefits of their products. On the contrary, many of them did. Safecharge just did a much better job of bringing the pitch down to dollars and sense. Open, open and more open – I am not sure if this is a direct result of tradable and their app-based trading platform, or firms doing what they can to migrate away from MT4, but open architecture is all over the place now. X Financial Solutions and Leverate announced their app marketplaces earlier in the year. At the Summit, OANDA was the newest firm to be exploring open APIs and a third-party ecosystem as they were out ‘kicking the tires’ on working with partners. While promising, what is lacking is the client user base to monetize these markets for developers. The open trend though, appears to have invigorated developers, as from Forex Magnates’ perch we are seeing more new products than in previous years, which is great for the industry. Cross pollination – I mentioned this in previous posts when reviewing the iFX EXPO in Cyprus, as at the time I saw a lot of cross product discussion between firms. However, while in Cyprus the focus was on the exhibition and seeing what new products were hitting the market, the London Summit was more geared towards hanging out and figuring out who the people that you want to partner with, because you get along with them. 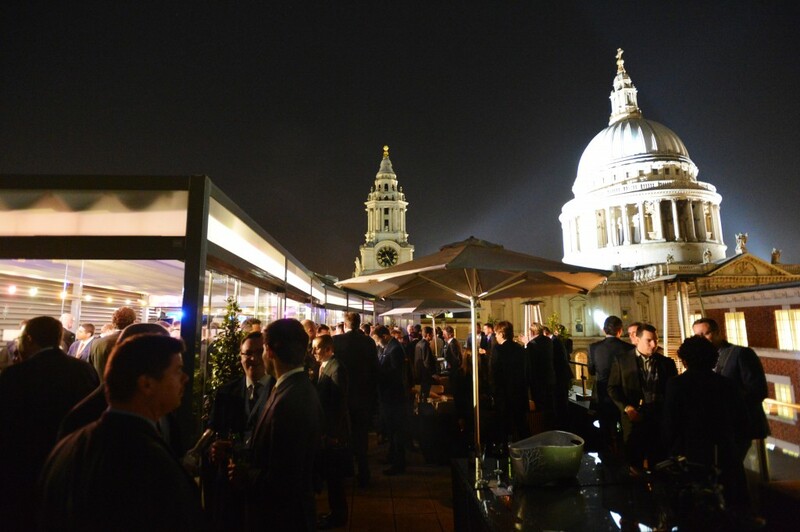 The party atmosphere led to some interesting discussions taking place. Most of them probably fizzled out by the time the alcohol wore off. Still, with discussion comes ideas, new products and different opportunities. Specifically, there were a lot of questions between brokers about what they thought about the different technology providers they were using. Inquiries about non-MT4 platforms and their feedback were abundant. In Cyprus, it felt that despite what was going on with the barriers for MT4 third-parties, brokers were still clearly comfortable with the platform. This time around though, I saw due diligence taking place. 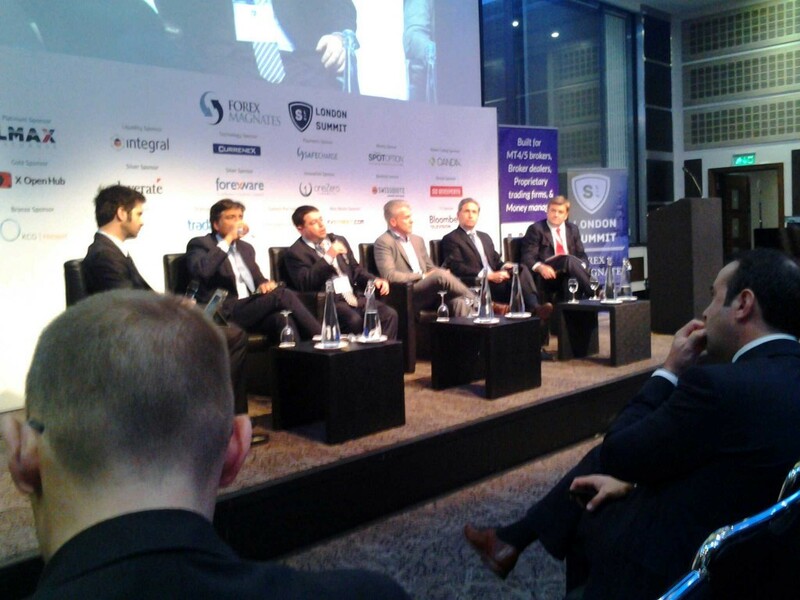 FX Liquidity Panel – Guess which of one these guys is working on a potential game changer in retail for 2014? Startups, get feedback and listen to it!!! Organizing the Elevator Pitch, I had an early view of each presentation and their products. I obviously had my opinions. Following the presentations, I did my best to gauge what the audience thought. One of the things I noticed was that while some presenters focused on cetain aspects of their products, attendees were more interested in other features. Also, there were instances where it was felt that the presenter wasn’t positioning their product correctly to grab the real opportunity that existed. What I understood from this, is the importance for startups to speak to and listen to their potential clients. The better they solve their problems, the more likely their products will gain positive traction. This may seem obvious, but it also takes a level of humility to accept. On this point, I have seen that there are two types of companies, those that are very interested in hearing feedback, and those that seem to think their products are perfect, and if anyone doesn’t understand this, it’s their deficiency. To the latter group, I say, be open to ideas!! Lastly, continuing with one of the points of day one, Everyone is doing everything, adapt or die! This played itself out on day two. Speaking more in-depth with several larger firms, it was very evident that expanding their reach into new terrain was part of their futures. Will these ventures succeed? Who knows, but it was pretty obvious that some leading firms are going to have a few surprising competitors spring up in 2014.